Originally classified as a Second Growth, Mouton made some of the greatest red Bordeaux wines ever in the period after the end of the Second World war and was finally upgraded to First Growth in 1973. Every year since the 1940's a different artist has decorated the label. Since the arrival of Philippe Dallhuin in 2003, Mouton has been on fine form. Grapes are now selected only from the core original vineyard site and the wine is always a classic example of both Cabernet Sauvignon and Pauillac. This great First Growth combines the strength and power of Latour with the polish and charm of Lafite and the unmistakable Mouton notes of cigar box, spice and cassis. 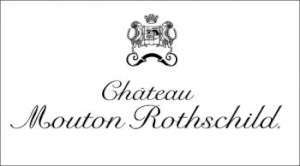 The 2017 Mouton Rothschild is a powerful wine for the year, probably because of the high percentage of Cabernet Sauvignon in the blend. Dense and closed in on itself, the 2017 is likely going to require quite a bit of time to soften. Raspberry jam, pomegranate and blood orange add lift and perfume with time in the glass. There is quite a bit of energy and brightness in the 2017, but not as much immediacy as is common for the vintage. That may ultimately turn out to be a positive for the wine's long term prospects. The blend is 90% Cabernet Sauvignon, 9% Merlot and 1% Petit Verdot. "After the frost, which did not really affect us, the major challenge in 2017 was heat stress," Mouton Technical Director Philippe Dhalluin told me. "We had no rain until the end of June. Then, in September, when we needed a bit of rain again, we got more than double what would have been optimal. The September rain affected the Merlot and Cabernet Franc, while the Cabernet Sauvignon was able to take advantage of the last 15 days of the growing season, which were much more favorable. In the cellar, we opted for longer macerations at lower temperatures, as we wanted to avoid extracting the type of hard tannins that mark other vintages with very dry summers, such as 2011. Healthy, glowing deep crimson with soft cherry rim. Rocky/smoky cassis lift to the aroma. Fragrant with sober and non-exotic fruit. Serious. Super-fine texture, appears gentle but is very persistent, so fresh and effortless and yet intense and long. Refined and accessible but long term too. 90% Cabernet Sauvignon with 9% Merlot and 1% Petit Verdot. Philippe Dallhuin believes the 2017 to be between the 2014 and 2015 vintages in quality. This year a typically expressive and expansive aroma profile of coffee bean, roasted fruits, dark chocolate and barbecue leaps out of the glass. The palate is creamy with vanilla and cocoa notes, as well as more exotic star anise and clove. The fruit is juicy and ripe, but compact and folded in on itself on entry. This grows and fleshes out through the mid palate, gaining in intensity and weight, and taming the ripe, chewy tannins that offer ample structure for ageing. The fruit softens and integrates these tannins, giving a very polished mouthfeel despite their plentiful, mouthcoating nature. This is very refined, but the longevity and purity of fruit is the drive that gives the finish length and harmony. A very impressive effort this year. Vibrancy is one of the key themes of the year in the most successful properties, and this has bright, plump fruit and good depth of colour, even if it's less concentrated than the past few vintages. The Pauillac first growths have done a great job in 2017, and it's hard to question the depth of fruit and richness here - there's no doubting that this is a great Mouton. Cassis and blackberry notes are delivered with precision, but there is a clear restraint that is another signature of 2017, and perhaps doesn't reflect Mouton's personality as much as some of its neighbours. There's not the same weight of tannins as 2016 (around 70 IPT this year, still a high amount), but it's a beautiful, persistent, gorgeous wine that will age gracefully. 100% new oak. (Image is the 2015 bottle; the design for the 2017 label will be revealed later). Considering the dominance of Cabernet in this wine the nose is surprisingly fruit driven with both red and black fruit tones. There is some superb tannin here and it is sprinkled throughout the palate from the very first moment until the very last. This is a calm and centred wine with little fuss or fanfare and yet it has a lot of concentration and style about it. Perhaps not the DNA for superstardom, this is still a very harmonious and exciting Mouton.